Dewatering Bags or GeoBags are manufactured from both Woven and Non Woven geotextile material sewn together to form a particular shape designed for strength and dewatering ability. 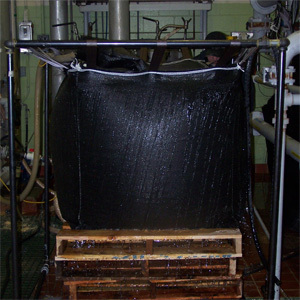 Dewatering bags or filter bags and are referred to as a bag because of their shape and smaller size. Hanging bags are approximately 3 feet x 3 feet or 1 meter x 1 meter with the sides and bottom sewn shut leaving the top open. 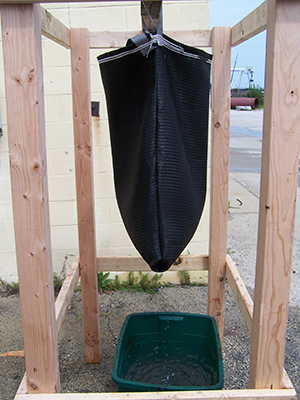 The purpose of the hanging bag is for testing the de-watering performance of the bag by suspending it 3-5 feet from the ground and pouring the sludge slurry into the opening in the top of the bag. This process allows the Customer to match up the type and amount of pre treatment (if any) required as well as optimum material of composition for the bag. 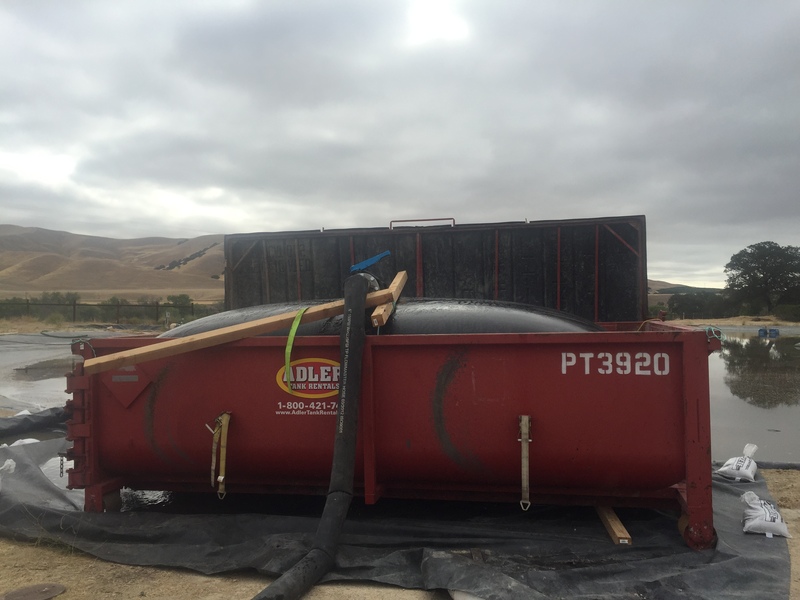 Cubic Yard Dewatering bags are made with 4 sides measuring 1 yard x 1 yard sewn together to make the sides and a 1 yard x 1 yard sewn in for the bottom and the top so you basically have 6 1 yard x 1 yard pieces sewn into a cube. A fill port or flange is installed in the top of the bag and the product is pumped in to the bag to dewater the product and filter the liquids.. Roll – Off Tubes or Dumpster Bags are typically 15 foot circumference to 21.5 foot circumference x 20 feet long. They are designed to fit in existing containers that also act as a containment to capture the liberated liquids from the product pumped into the Roll Off Bag.